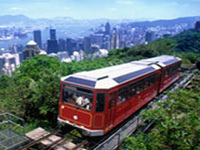 Visitor arrivals to Hong Kong Kong within the first nine months of 2011 have reached a landmark of one million for the first time ever, according to figures from the Hong Kong Tourism Board. The figure, which totalled 1,028,989, represented a 15.0% increase over the same period last year. Among all long-haul market regions, Australia, New Zealand and the South Pacific was the best performer (+13.0%), followed by Europe, Africa and the Middle East (+12.1%). "We will also sustain our collaboration with the MICE and travel trade sectors to enhance Hong Kong’s competitiveness and appeal as a MICE destination," said James Tien, chairman of HKTB. "Just recently, we have joined a number of Lantau-based MICE and related trade partners to roll out a new campaign designed for promoting Lantau as a MICE hub. Through this campaign, we aim to attract a greater number of MICE events to the island, and generate more business for the tourism sector."